sir,I am Jishu Saha. I have completed graduation and currently I am pursuing BFSI (Banking financial Services and Insurance). m 31years …which job is my age suitable.m b.a passed. Sir, I passed post graduation in counselling Psychology. There is any post for Psychologist in rrb kolkata? Sir,I am Raju Hazra.I have completed graduation and currently there is any group -D post in RRB kolkata. 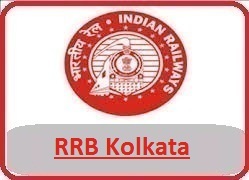 Sir,I am Subhadeep Dey.I have completed graduation and currently there is any group -D post in RRB kolkata. I am completing B.Tech (Civil) in June 2018. Am I eligible to apply? If so, which case? I have completed h.s pass,and computer with mecanicel also..
Am i eligibl to apply? Am I eligible to apply…. Want to know regarding recruitment advt of ASM TC GG and RRB Officer post. My self sourav dowari I have completed ITI on civil and I have one year experience,I have completed Diploma on financial accounting system.i need job. Mujhe ek wark ki jarurt hai. Aami jim instactar aachi. Aami class-12 pass. Sir I’m Antara Bairagi. I’m 18 years old.Now I’m read in BA 1st year English Honourse and I got 69% in 12th exam. Sir I need a job sir please help me.